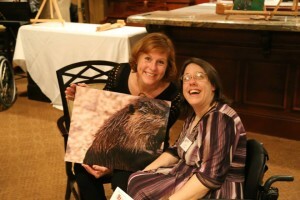 A Thousand Words Photography Project | Connectability, Inc.
Join the 2019 Thousand Words Gala! A Thousand Words Photography Project presents a truly wonderful and unique opportunity that is mutually educational, supportive and nurtures self-expression. 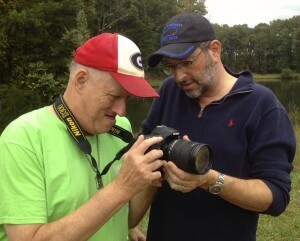 In addition to very personal and profound images, A Thousand Words Photography Project has given us ALL the chance to interact and learn from each other- ultimately forging new connections and friendships, which is the best production of all. Everyone knows that “a picture is worth a thousand words” – but what if a picture spoke your only words? The goal of A Thousand Words Photography Project is to give a voice to people with disabilities through the visual art of photography. People with disabilities, who comprise nearly 20% of the general population, are marginalized in society and especially in the area of art. Each person has a story to tell, a gift to share and a perspective to be considered. A Thousand Words Photography Project provides those opportunities while enriching the lives of all who come into contact with the art they create. Teams consist of people with and without disabilities who collaborate and produce photographic works that relate to a specific theme. The photographs are available to the public through art shows and ultimately are sold at a fundraising auction to support future project programming.